Beatifully nestled in the alluring Morainic hills and the Dolomites Lake Garda is the largest lake in Italy. The Lake is surrounded by small towns with bright colours and clear blue waters and olive groves. 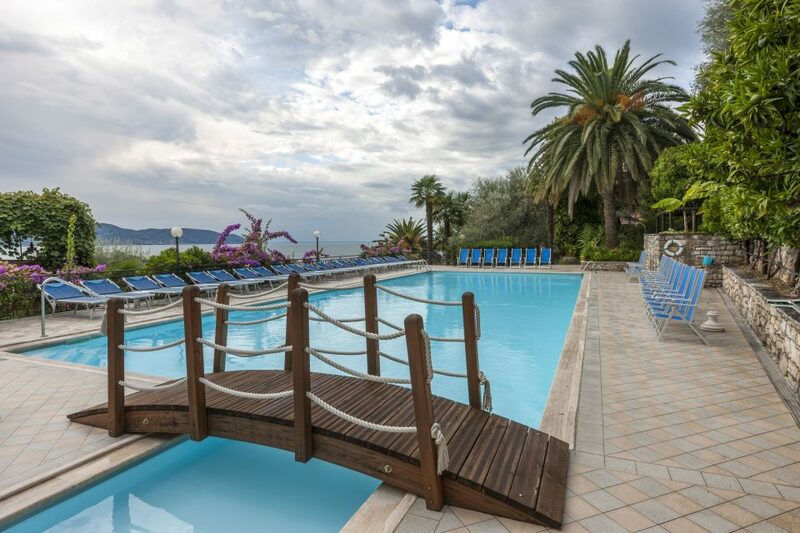 Lake Garda holidays are sure to impress, with amazing scenery, relaxing and stunning. Try the local cuisine, fancy a bit of sightseeing as there are plenty of things to do. It has three amusement parks for some extra thrills on your holiday, if you’re travelling with children. There is no more exclusive a way to discover the lake than being aboard a 1017 Frauscher Lido speed boat customised by Lefay. From the picturesque port of Gargnano to the most hidden corners of the Garda. Spread out over 110 hectares, the Gardagolf County Club offers 27 holes nestled between the Rocca di Manerba, Soiano Castle and the Valtenesi hills, offering an extraordinarily beautiful panorama. Cypresses, olive trees, centuries-old oaks, pines and holm oaks complete the setting. This Italian dual trip allows you to experience two of this peninsula’s most notable destinations. Venice is regarded my many as one of the most unique and romantic cities. It boasts world famous architectural sights and amazing artwork. The Venice Film Festival is the oldest film festival in the world and is extremely popular with private jet travellers. Venice is a piece of history, well known St Mark’s Square, Riaalto, the Grand Canal as well as theatres, churches offer lots to do. 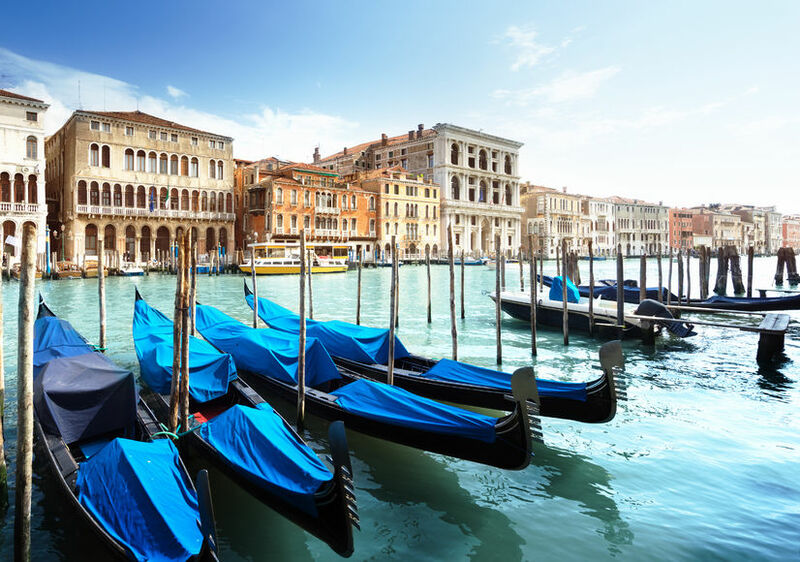 A taxi ride on a gondala is a must try experience in Venice. Check out Murano Island famous for the art of blowing glass. Another popular event held from 11 Feb till end of the month, Venice holds one of the most beautiful masquerades festivals. From art and culture, to a stroll through Castello the biggest district in Venice, there’s so much to see and do. Fly by private jet to Verona Villafranca Airport, which is located 10 km south west of Verona, Italy. A flight from Manchester to Verona takes approximately 2 hours 15 minutes. A car transfer to Lake Garda will take approximately 55 minutes minutes. However a quicker and much more exciting way to arrive is by helicopter, which takes just 10 minutes. 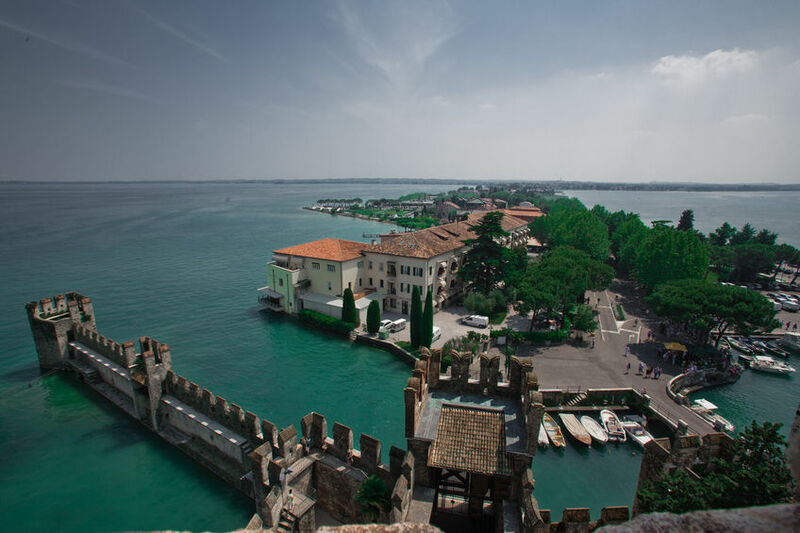 Not only faster but you will get to see the amazing views of Lake Garda from the chopper. Venice (Marco Polo) Tessera is the main airport in Venice for private jet travellers. Located just 4.5 miles north of the city centre. It’s a 24 hour airport, with parking for up to 20 aircraft. Customs & Immigration is swift usually taking around 10 minutes. 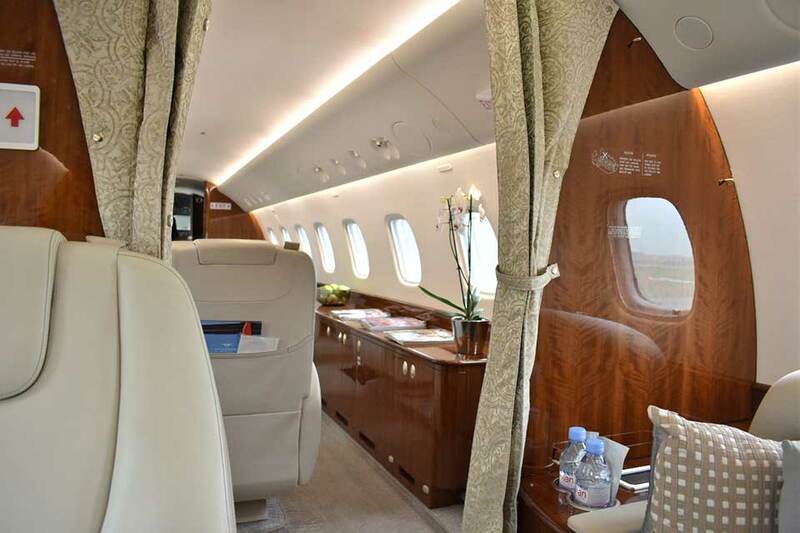 The Legacy 650 has a range of 4,000 Nautical Miles meaning the aircraft is capable of making trips such as London – New York, London – Astana, Dubai – London, Lagos – London Non-Stop. With three distinct cabin zones, the Legacy 650 has the largest cabin, galley and lavatory in its class. 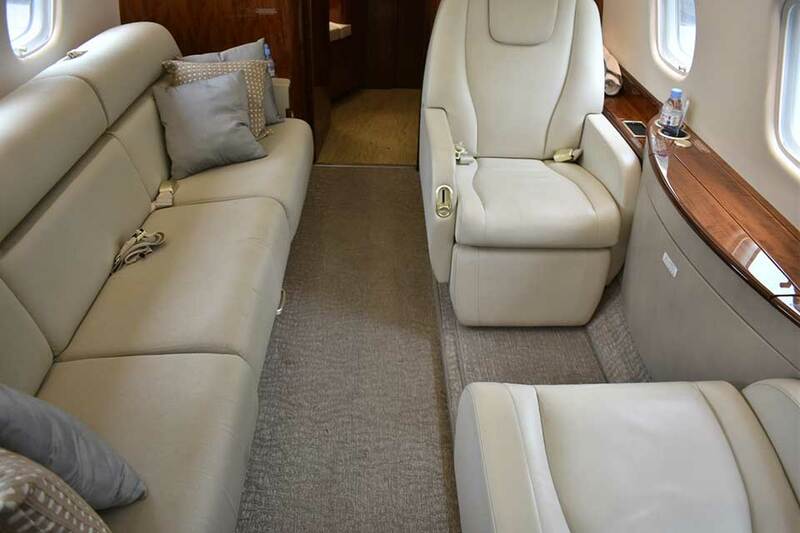 The aircraft has a standard 13 seat configuration split in 3 areas: front club 4, middle club 4 and a separate area at the rear with a club 2 plus a 3 seat divan. The seating can be transformed into 4 beds & 2 double and 2 single beds. The aircraft is also equipped with Wi-fi. The galley is fitted with an oven and microwave to enable us to offer full First Class VIP catering facilities to our passengers.The aircraft cabin is 49’10” in length, 6’11” wide and 6 ft high.